The Israeli military known as the Israel Defense Force (IDF) is a unique one. From the moment of its creation, it has been involved in a never-ending conflict with its neighbors. To survive in such a situation, high-quality weapon systems are as important as well trained military personnel. Israel receives a lot of assistance from the US and Germany to build up its arsenal. But they have a very strong local defense industry as well, which makes world class weapon systems. The Israelis don’t just import stuff from US and Germany, they customize them heavily and improve them with additions of their own. This has made them a formidable military in the region which can stand up to any aggressor. In this article, I will cover the top 10 weapons used by Israel which include indigenously developed ones and imported ones. The ranking is entirely my opinion and takes into account the combat performance of the weapon systems as well. 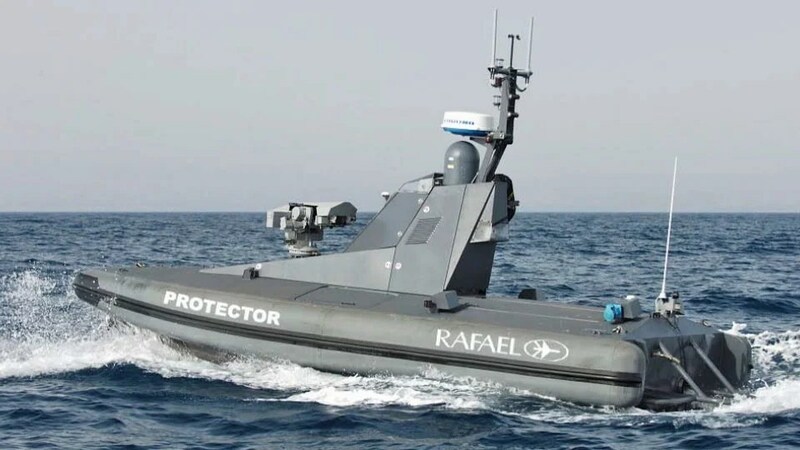 Israel is the first nation to develop and deploy an armed unmanned boat for surveillance and protection duties. The Protector Unmanned Surface Vehicle is a unique piece of equipment which allows its operator to do more with less. A manned 9 or 11 m patrol boat needs a crew of around 6 men to operate sensors, navigate and man the weapons systems. They are also vulnerable to enemy fire as these boats generally are unprotected from small arms fire and a lot of space is wasted due to food, water and other equipment carried on board. The Protector changes all that as it needs just 2 operators who control the boat from a control station safely away from the hostile area. This increases operational endurance by more than 4 times when compared to a manned boat. It carries an electro-optical sensor, radar, a Typhoon stabilized remote weapons station which can be fitted with any machine gun or grenade launcher and the space wasted on the crew is here used to carry additional fuel and sensors. These boats are deployed around harbours to conduct surveillance, investigate and engage hostile small craft. They are especially useful in Anti-Piracy duties because its high speed of 50 kts (92 km/hr.) and a wide array of sensors help to track and chase pirate boats with greater efficiency than manned boats. Singapore has purchased the Protector and deployed them for surveillance, reconnaissance and force protection duties in the Persian Gulf. The 11 m variant can be fitted with Spike missiles and a water cannon for non-lethal engagements and firefighting. It has a twin diesel engine compared which increases its efficiency and speed. These boats will continue to be improved and a new generation of larger unmanned vessels will spawn from them. All the assault rifle are fitted with a reflex sight which provides a clear red aiming point. These rifles have seen extensive combat with the IDF infantry units and with the Indian Army commandos who use it as their standard assault rifle. India also uses the MTAR-21 which they manufacture under the name Zittara and use it with the 5.56×30 mm cartridge. IDF uses the MTAR-21 with the 5.56×45 or 9 mm pistol rounds. It is said that it has exceptional combat performance in hot desert climates. The Merkava tanks were designed in the early 1980s to create a tank to suit specific Israeli requirements and make them self-sufficient in making tanks. The design evolved over the years and the Merkava 3 and 4 are the best variants. 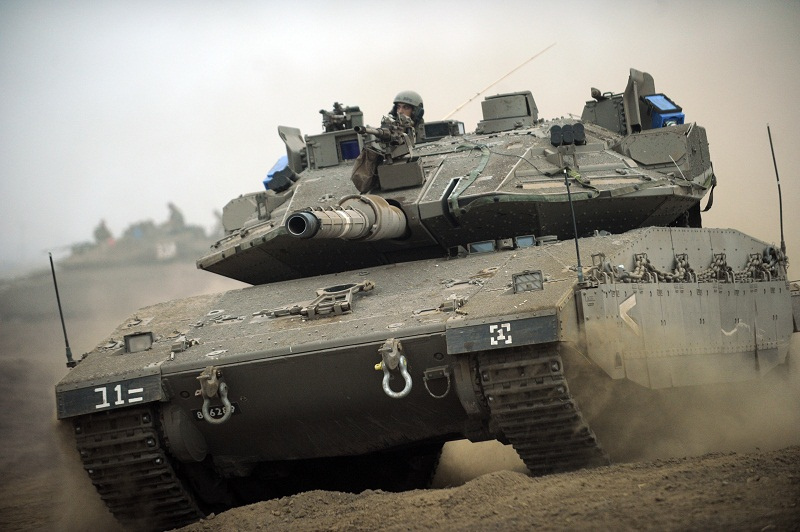 The latest variant is the Merkava 4 which features several improvements over its predecessors. The Mk4 features a 120 mm smoothbore gun which has a unique capability that other western tanks lack, the ability to fire an Anti-Tank missile ‘Lahat’ from the gun. This gives it a standoff engagement capability and allows it to destroy enemy tanks from far off distances. This tank has a heavy secondary armament consisting of 1×12.7 mm machine gun, 2×7.62 mm machine guns, 60 mm mortar and 12 smoke grenades. 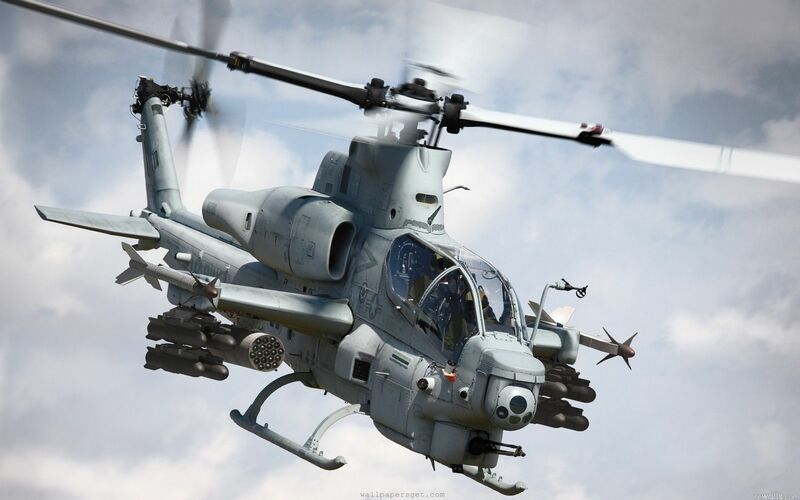 This kind of armament is useful in urban warfare where multiple machine guns and the mortar are necessary to engage infantry and concealed threats. A combination of 48 shells and missiles are carried in the tank. The other significant feature of this tank is the ‘Trophy’ Active Protection System which ca intercept incoming projectiles like Anti-Tank shells and missiles using a network of tiny radars and hardkill projectile dispensers. This feature is the primary layer of defense and the secondary passive defense is provided by the thick armor of the tank. 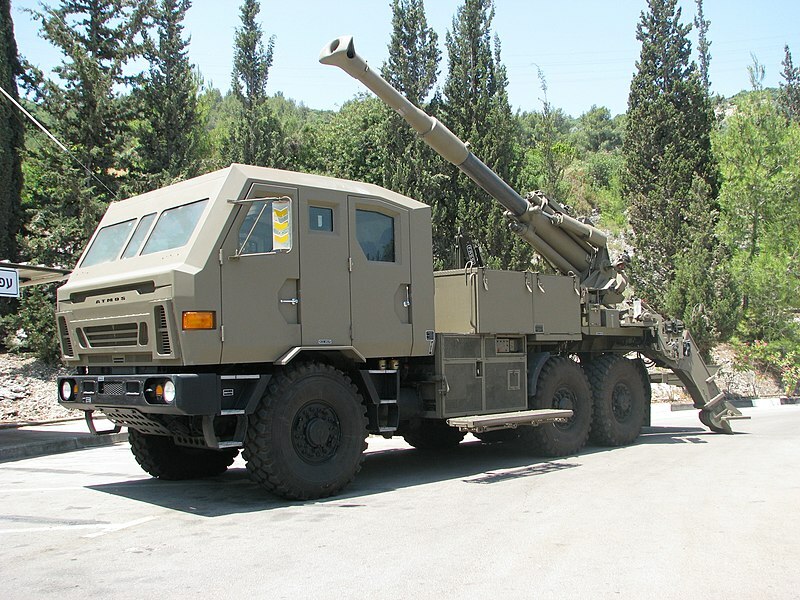 The Advanced Truck Mounted howitzer System (ATMOS) is the latest self-propelled artillery weapon which is going to be fielded by the IDF artillery corps. It is a 155 mm 52 caliber (52×155 mm barrel length) system which is mounted on a 6×6 truck which gives it excellent mobility. This advanced system has a crew of just 4 men which is possible due to the high degree of automation and the extensive use of computers. The exact firing solution can be calculated by a touchscreen computer and then the 4 men manually load the shell into the gun to fire it. It integrates data from aerial assets like UAVs in order to give precision support fire to troops. It carries 32 rounds of 155 mm shells on board and can fire them at the rate of 4-9 rounds per minute depending on necessity and crew reloading capacity. It is said that this system can be transported by the C-130 which can enable rapid deployment to hostile areas. Israel is a very tiny country, but needs long range aircraft to penetrate deep into enemy territory to obtain air superiority and carry out strikes in case of a conflict as the F-16 Sufa is not ideal for such operations and will be in charge of homeland defense. The F-15C fighters were first obtained in 1978 .In 1998, Israel obtained 25 examples of the strike variant, designated as the F-15I Ra’am. These extremely capable multirole fighters have been customized by Israel using their own equipment. It has the ability to carry American and Israeli missiles and features an enhanced countermeasures and jamming system compared to the American variant F-15E. It also had the standard conformal fuel tanks (CFTs) which gave it the ability to carry additional fuel without sacrificing weapon carrying stations. 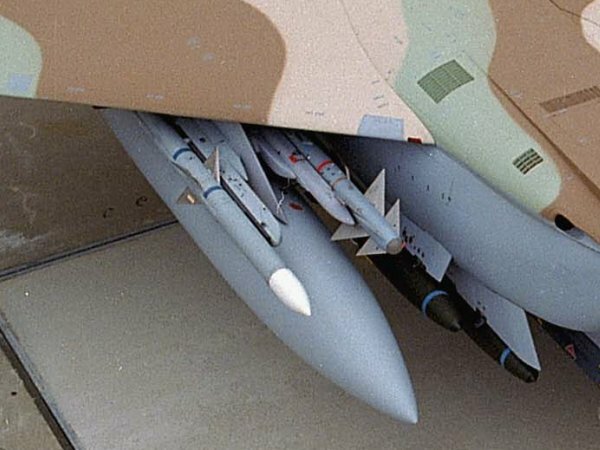 The main reason these F-15I’s were procured was to give Israel the ability to strike targets deep inside countries like Iran without conducting half a dozen mid-air refuelings. The F-15I has enough fuel to carry a significant weapon load and strike targets inside Iran with just a single mid-air refueling. In a strike configuration, it is capable of carrying GPS ,Laser guided bombs, Glide bombs, Popeye and Delilah cruise missiles along with Jamming pods and Air to Air missiles for self-defense. In the future, the F-15I will be complemented by the F-35I to make a formidable ground attack combination. There are several systems designed to intercept ballistic missiles. But the least known and probably the most powerful is the Arrow 3 Anti-Ballistic Missile (ABM) system. This missile was developed to be more effective than the famous American MIM-104 Patriot ABM system. The Arrow is extremely vital for Israel’s survival as it protects them from the range of ballistic missiles possessed by its hostile neighbors. It is integrated with the ‘Green Pine’ radar to provide target information. The Green Pine has a search and track range of around 400 km which can easily cover the whole of Israel. The Arrow 3 can intercept a ballistic missile at altitudes of over 100km and a battery of these missiles is said to be capable of intercepting 5 ballistic missiles in 30 seconds. Improvements over the Arrow 2 include a smaller size and 40% reduction in weight. It is expected that the first Arrow 3 battery of 24 missiles would be deployed by 2015. 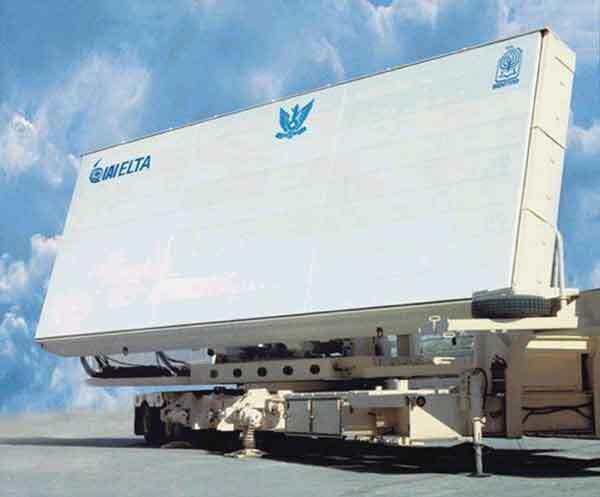 There are indications that this system can be used as an Anti-Satellite system similar to the US SM-3 missile. This missile is the result of an Indo-Israeli joint venture to develop a next generation Surface to Air missile to equip their Navy and Air Force. It is a medium range SAM which is mainly designed for intercepting supersonic cruise missiles. It has a dual pulse rocket motor which ensures that the missile is traveling at Mach 2+ even at its last stages. The active homing radar seeker eliminates the need for constant illumination from land/ship based radars and thereby allows for quicker reactions and makes jamming it very difficult. The Naval variant is fired from an 8 cell vertical launch module and is normally used in conjunction with the MF-STAR radar. India has adopted this missile as the standard SAM for all their warships from 2015. Israel is refitting this missile on their existing warships. Extended range variants of this missile exist. It uses an additional booster to increase the missile range from 70 to 120 km. This ER missile will be used by the Indian Air Force and in the future by the Indian Navy as well. The unique feature is that it is the smallest warship in the world to be fitted with a 4 Panel AESA radar. The MF-STAR can search, track targets and guide up to 16 Barak-8 SAMs simultaneously to intercept them. This gives the Sa’ar 5, an ability to defend itself against any aerial threat. 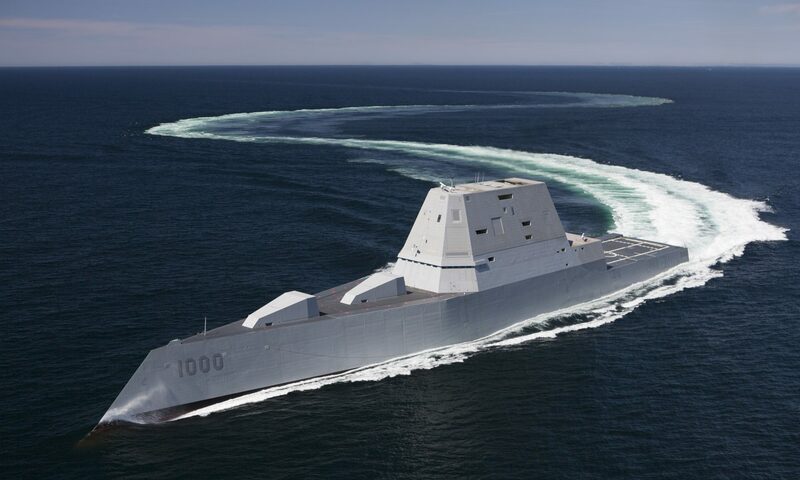 And this ship holds the unique distinction of being the most heavily armed ship in the world if you consider the Weapons-Displacement ratio of the vessel. The another feature is that this ship can operate easily in the littorals and blue water as well and attack and defend itself from any threat it faces. *cough*LCS*cough*(looks like someone needs to borrow a few pointers from this ship). The most famous weapon of the IDF which has very frequently been in the news is the Iron Dome interceptor system. This is a C-RAM (Counter-Rocket Artillery Mortar) missile system which uses the Tamir interceptor missile to carry out its duty. 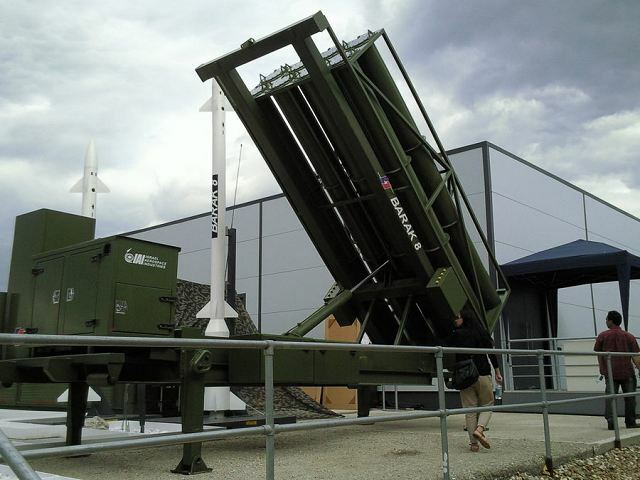 The reason that it is number 1 on this list is that this system is essential for protecting Israel from the smallest threats (rockets, artillery shells, mortars) which are targeted at civilians and it has successfully done its job over the past few years and remains the most combat proven modern air defense system in the world. 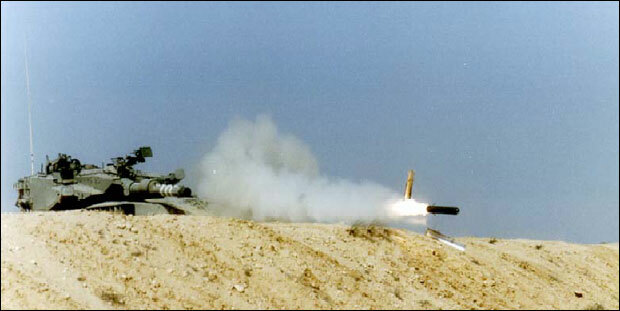 The Tamir missile has a range of 70 km and is specifically designed to destroy short-range rockets and artillery shells. A unique ability of the system is that it detects a set of incoming threats and then intercepts only those rockets which are going to impact on civilian populated areas. This saves a lot of money (each interceptor missile costs 50,000$) and time as usually only 10% of the unguided rockets manage to hit their targets. The Iron Dome targets only those 10% and the remaining 90% of the rockets which fall harmlessly over the open ground are left alone. Each launcher truck holds 20 missiles and a battery usually consists of 3 launch trucks, radars and a missile control unit. All these are mobile and can be quickly deployed to an area of conflict. Israel claims a successful interception rate of 87% by the Iron Dome system. This system will be supplemented by the ‘Iron Beam’ laser system and ‘David’s Sling’ missile system by 2018 in order to provide 100% coverage against any sort of aerial rocket and artillery attack. Israel has only 2 powerful warships. India has more than 50 major warships. A huge difference. India doesn’t need to pack all ships with missiles. Hence the Kamorta, which is designed for Blue water and littoral ASW is armed with torpedoes and rockets for hunting submarines. Nothing else is needed and it will be fitted with Barak is future for defense. It’s all about policy and requirement. Those Israel Warship made by Israel. Those Warship used by India made by Russia, Israel and France. That is the difference between Israel and India. What are you talking about? 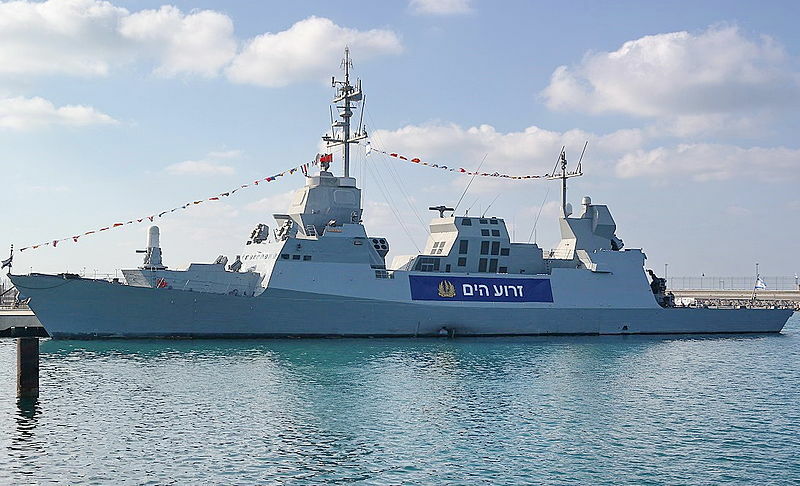 Israeli warships were made in Germany! Indian warships like Kamortas and Kolkata class are made in India!! None of India’s warships are made in France or Israel. anyway, this ship is a bit crowded, and there is no empty place, and every part designed wisely so it will take less room. and it have less fuel, but we dont need long ranges in small country, and its eunogh to get all the arab countries. one important component missing from India no matter how they’re equipped…They’re not Israeli and most importantly not HaShem’s special possession. India does not need to be Mr.HaShems special possession or anybody’s for that matter.You can keep him and be happy ok!Shalom. Definitely. I will cover it. Definitely. I’m going to write about India soon. I will cover all top militaries. Does the Nation of Israel depend on United States approval to sell weapons to friendly nations like Nigeria to fight terrorism?If no,then what are the modalities for purchase of weapons necessary to combat terrorists that used Anti-Aircraft guns mounted on pick-ups against soldiers using Ak47’s,RPG,s,? hi, do you speak spanish?., ok your web is so god for the people how like to know more about military things, i like your posts, very god joob 🙂 and good luck. Hi. I don’t speak Spanish. I’m glad you liked my articles. what can you say about Nigeria’s Boko Haram. How sophisticated are they plz? Boko haram is not a highly equipped force by military means but they have deep impact in the civil society due to non governrnce of the country. Am amazed at what I read and saw the IDF weapons are superb.GOD bless Israel. It is misleading to compare Arrow 3 with Patriot air and missile defense system as the two systems cover different altitudes. The american GMD or Aegis ashore with sm3 interceptor is probably the right “rival” for the Arrow 3, they all cover midcourse phase of the incoming balistic missile, and all of them may also serve as anti satellite systems. can you pls also compares millitary strength of two nations…..if yes then pls compare b/w INDIA & CHINA……. Peace and Shaloom for Jeruzalem & Israel land of God! To protect the rockets, artillery shells, mortars of enemy, it is not efficent to use so expensive iron dom missle ? It is very expensive I agree. But they consider it to be cost effective when compared to the cost of the property that would be destroyed by the mortars and artillery shells. 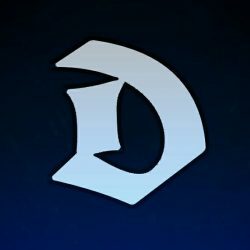 It also deals with a completely different strategic situation. Israel is highly sensitive to civilian loss of life. 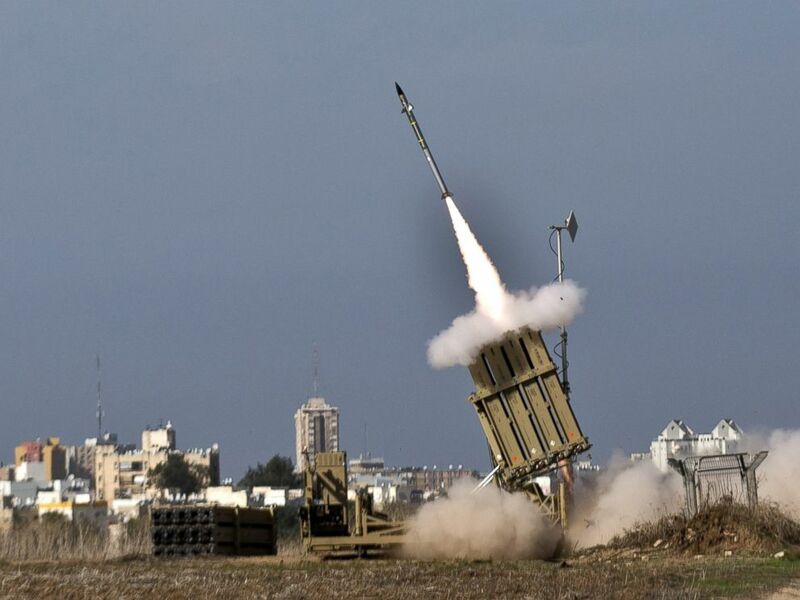 The Iron Dome enables political decision makers to avoid escalating conflicts but allowing them to respond more delicately – as a consequence of its inroduction, militants in the Gaza strip have lost one of their major weapons so pure economic calculation is not a like for like comparison. Additionally you also need to consider the social and financial damage caused by one of these missiles landing in a town. Missing from the list is an Israeli weapon which is so secret that many senior military leaders and Government officials are completely unaware of it. What do I refer to? I pray for peace in Jerusalem. GOD will watch over Israel amen. Could you please write about Gurkhas and their victories and weapons used by them. a state well blessed with technology. The Technic will assist to deal with extremeness and war mongers across the world. Long live IDF. No mention of UAV’s such as the Eitan? 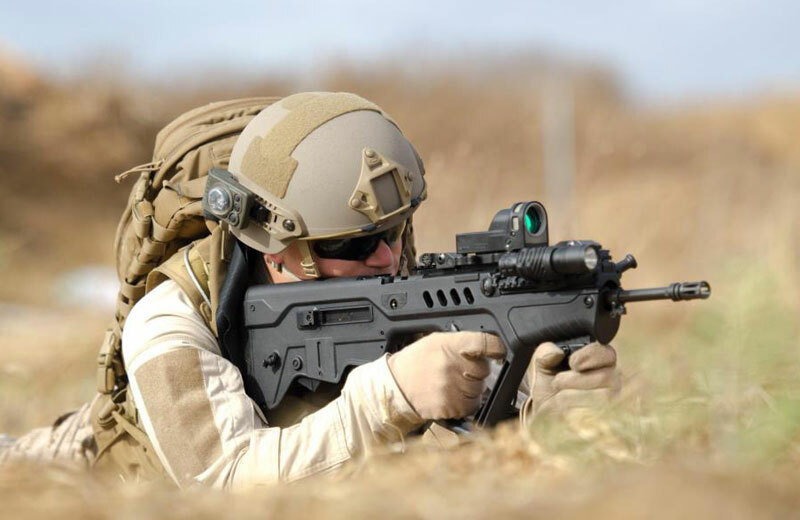 TAVOR Rifle is really reliable durable and accurate rifle.one of the best Rifle in the word. I’m a papua New Guinean citizen..i truly loves Israelie soldiers..
israel is the most powerful countery in the world…….